Who has not ever in school bullet chewed paper through a straw from the disassembled pen in the head mate? But this simple device is a toy replica of the brass tube – weapons, bringing at the time, the horror of the colonizers. That missile is the prototype of all modern types of airguns. The various nationalities of the brass tube were made differently. You can make a brass tube out of scrap materials. Take the seamless metal pipe with an inner diameter of 1.5-2 cm and a length of 150-200 cm is best to use aluminum or duralumin pipe. The pipe should be straight without bends and deformations along the length. If you wish to obtain more powerful weapons, make the tube of two or three sections. Such a collapsible tube you can in a few minutes to disassemble and stow in a travel bag. Mount sections are produced by means of connecting tube is slightly larger diameter. The connecting tube is put in the joint parts and is tightened by means of clamps. The tool clamp screws. From the syringe or plunger are manufactured mouthpiece. It can be rounded or rectangular shape. The purpose of a mouthpiece to protect your lips from the connection with the metal. You can make a mouthpiece from a plastic tube from a bottle of champagne. For this tube, cut the bottom and firmly drive her in the tube. Cut the tube facing towards the target in stowed position close suitable sized plastic cover. Cap will not allow the contaminated inner surface of the tube. 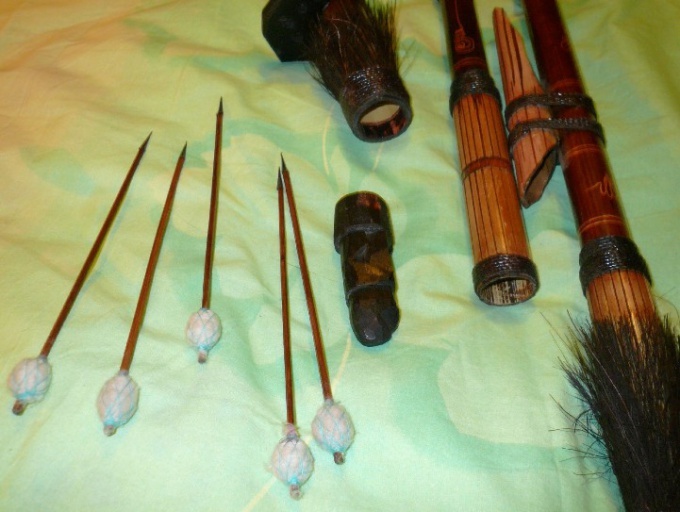 As the shells you can use skewers made of bamboo and even paintballs. Here before you open up unlimited horizons for creativity. Boom length can be 10 to 30 cm tail end of the boom take a few thickened, slightly smaller in diameter than the inner diameter of the tube. This will create the necessary pressure when blowing the projectile out of the tube. One of the fascinating and spectacular of applied sports is Darts. Darts is a game in which players toss Darts into a round target, which is usually hung on the wall. This game can be made independently in home conditions. 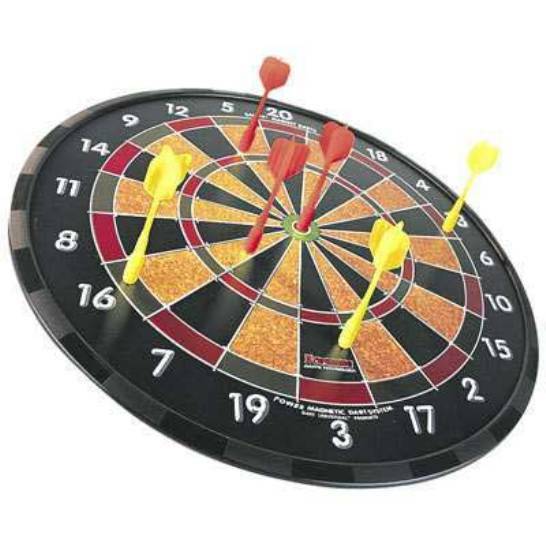 The main element of the game – special throwing Darts. One of the easiest ways of making a dart will require the most affordable materials and tools. Prepare a sheet of paper, scissors, matches, a pin with a flat head in the form of a circle, thread, glue. Take ordinary notebook paper and cut out a square of about 50x50 mm. Fold the resulting square in half diagonally. To lock the fold line, swipe it with your finger or with a ruler. Now fold the square piece in the second diagonal and re-secure the fold. Now midway on each side of the square fold to the center, so in the end you get the whole plumage of the future of dart, which consists of four triangular blades. The center of a square pierce with a pin so that the tip was on the outside, and the head of a pin inside the tail. Take four matchsticks and add them together. You should have the base of the dart, consisting of four component parts-matches. Grab the head part of the future of dart loop of thread and wrap the match a few turns of thread to design is not broke. On the opposite side of the composite shaft of the insert between the matches dart already pre-cooked plumage to each blade of the tail was located between the two adjacent matches, and the end of the pins protrude from the front of the shaft. Now gently roll the tops match the shaft thread, lubricated with glue for strength. The same way finally strengthen thread the front part of the dart where the tip. To weight the bow wrap it a few extra turns of thread or thin copper wire. After the glue dries spread the feathers. The dart is ready to fight. For the successful conduct of the competitions you will need at least three to five such rounds. The target for this homemade Darts are manufactured from a piece of porous rubber, to which you can attach drawn on the paper target with concentric circles. Using Darts, be careful; in any case, do not cast the shell in the direction of people or animals.